Fear the Walking Dead Season 3 Release Date, Cast, Trailer, Synopsis, News & Updates: FTWD is gonna come out again to entertain and fill us with thriller again later this year with its season 3. AMC has announced the zombies show to start on June 4, 2017, consisting 16 all new episodes. UK viewers can enjoy the show from June 5 Monday at 2 am BST with a repeat at 9 pm. Before we go to season 3 let’s recall what happened in season 2. last time we saw the survivors of the new post-apocalyptic world. They were broken and divided into different groups and directions. Ofelia chose to be her own and met a stranger after crossing the border back into America Nick and Luciana was on this way with rest of the Colonia before they were attacked by a group of people. Madison, Travis, and Alicia traveled with Colonia in hope of finding Nick while strand stayed back at the hotel. 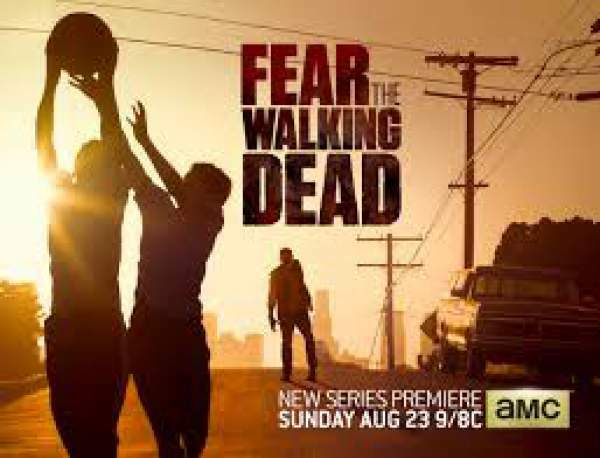 Now coming back to season 3 official synopsis says that Kim Dickens character Madison and Cliff Curtis character Travis will reconnect during apocalypse finally. The families will start to rebuild their society and lives along US-Mexico border as the world around them falls apart. On the other hand, Colman Domingo character Victor Strand will look forward to taking advantage of the new world order and its new Currency. Check: Prison Break Season 5 Episode 3. As Fear the Walking Dead season 3 returns, our families will be brought together in the vibrant and violent ecotone of the U.S.-Mexico border. International lines done away with following the world’s end, our characters must attempt to rebuild not only society, but family as well. Madison (Kim Dickens) has reconnected with Travis (Cliff Curtis), her apocalyptic partner, but Alicia (Alycia Debnam-Carey) has been fractured by her murder of Andres. Madison’s son mere miles from his mother, Nick’s (Frank Dillane) first action as a leader saw Luciana (Danay Garcia) ambushed by an American militia group — the couple escaped death, but Nick no longer feels immortal. Recovering both emotionally and physically, Strand (Colman Domingo) has his sights set on harnessing the new world’s currency, and Ofelia’s (Mercedes Mason) captivity will test her ability to survive and see if she can muster the savagery of her father. Season 3 will feature some new character. Daniel character will star as Teen Wolf and Sam Underwood will star as The Following. Both will be in as regular character to play members of the Otto family, founder of survivalist organization who was prepared for the fall of democracy. Lisandra Tena, from Chicago P.D., will join the cast as Lola Guerrero. Dayton Callie from Sons of Anarchy will also join as a series regular, although the specifics of his character are not known.